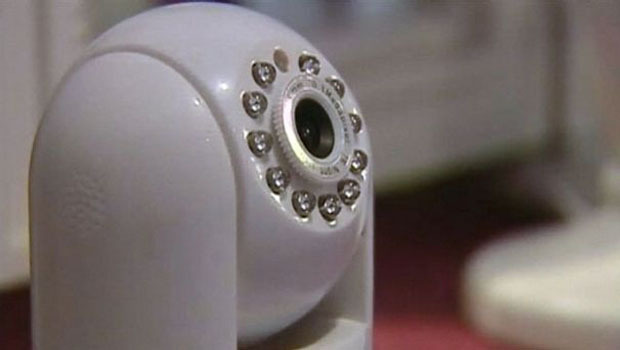 NEW YORK -- Several of the most popular Internet-connected baby monitors lack basic security features, making them vulnerable to even the most basic hacking attempts, according to a new report from a cybersecurity firm. "There's a certain leap of faith you're taking with your child when you use one of these," says Mark Stanislav, a senior security consultant at Rapid7 and one of the report's authors. The Rapid7 researchers found serious security problems and design flaws in all of the cameras they tested. Some had hidden, unchangeable passwords, often listed in their manuals or online, that could be used to gain access. In addition, some of the devices didn't encrypt their data streams, or some of their web or mobile features, Stanislav says. In the Rapid7 study, researchers rated the devices' security on a 250-point scale. The scores then received a grade of between "A'' and "F." Of those tested, eight received an "F," while one received a "D." All of the camera manufacturers were notified of the problems earlier this summer and some have taken steps to fix the problems. "When one gets an 'F' and one gets a 'D minus,' there isn't an appreciable difference," Stanislav says. "And unlike a laptop where you can install firewalls and antimalware, you can't do that here." For example, researchers noted that the Phillips In.Sight B120 baby monitor, which retails for about $78, had a direct, unencrypted connection to the Internet. That could allow a hacker to watch its video stream online, as well as remotely access the camera itself and change its settings, the report says. Phillips NV released a statement noting that the model in question has been discontinued. It added that its brand of video baby monitors is now licensed to Gibson Innovations, which is aware of the problems and is working on a software update designed to fix it. The researchers also tested the iBaby and iBaby M3S, Summer Infant's Summer Baby Zoom WiFi Monitor & Internet Viewing System, Lens Peek-a-View, Gynoii, TRENDnet WiFi Baby Cam TV-IP743SIC, WiFiBaby WFB2015 and Withings WBP01. Officials for iBaby, Lens Laboratories Inc. and TRENDnet didn't immediately respond to requests for comment. A spokesman for Withings said he couldn't immediately comment on the report. Summer Infant says in a statement saying that it's reviewing the report's findings and will make sure that the needed precautions are taken to protect its customers' security. Gynoii says that it's reaching out to Rapid7 in hopes of fixing the issues with its camera. And WiFiBaby released a statement defending its camera's security, noting that its latest software requires users to set their own unique password when they set up their camera.